Kidliterati: Spy on History Blog Tour + Giveaway! Spy on History Blog Tour + Giveaway! That's right, Kidliterati, the second book in the SPY ON HISTORY series hits the shelves TODAY! Kidliterati is so excited to be a part of the Spy on History blog tour! If you didn't catch the first book in this series, you can get a refresher here: Mary Bowser and the Civil War Spy Ring. My daughters and I loved learning Mary's story and being an active participant in her top secret sleuths. This second book in the series definitely doesn't disappoint! Super fun 🔎spy🔍 fact: the Spy on History books all contain top secret information, sealed envelopes, clues to seek out, cool spy gadgets, and codes to crack. You know it's going to be good when you open the book and sort of wish you didn't have to share with your kids! It's literally an interactive experience that even my middle school kids thoroughly enjoyed. In fact, they've both voiced their anticipation for the next installment. Super fun 🔎spy🔍 fact: There's a giveaway at the bottom of this post! 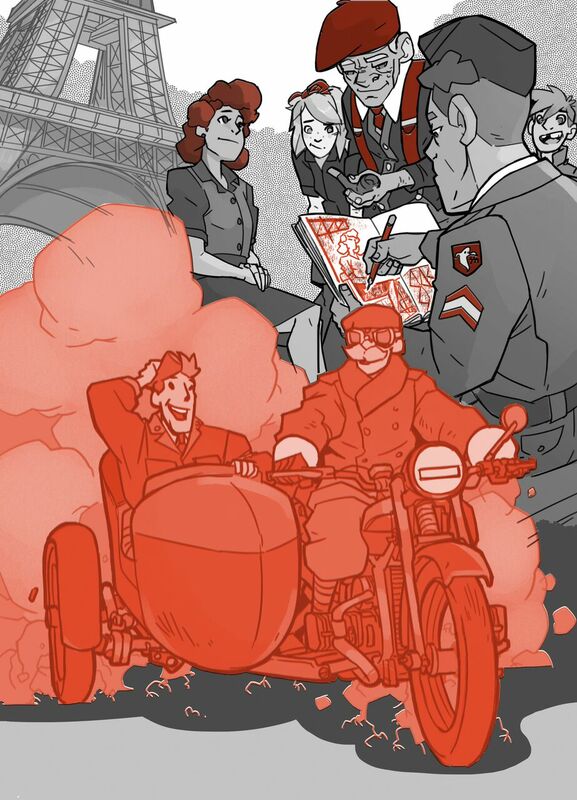 Your mission: Find Victor Dowd’s missing sketchbook. And discover one of the most unusual stories of World War II. Meet the 603rd Camouflage Engineers, better known as the Ghost Army. This group of artists and sound engineers were trained to deceive the Germans in World War II with everything from fake tanks to loudspeakers broadcasting the sound of marching troops. 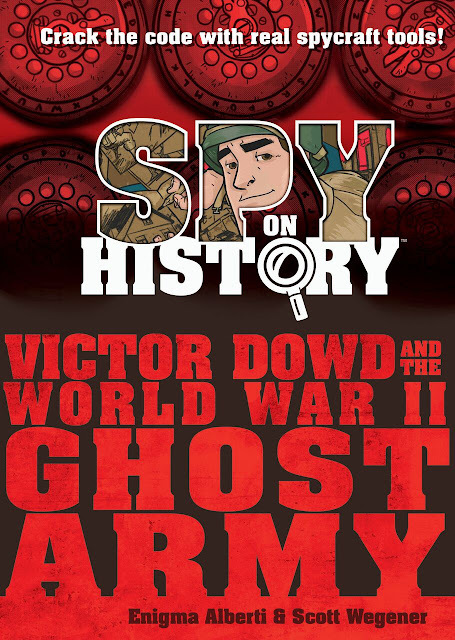 And meet Victor Dowd, a real-life sergeant who with his fellow Ghost Army troops fought his way from Normandy, through France, and eventually across the Rhine. Second in the Spy on History series, it’s a compelling story of a little-known chapter from the war—and a mystery to solve. Using spycraft materials included in a sealed envelope, readers will discover and unravel the clues embedded in the book’s text and illustrations, and uncover the mystery of Victor Dowd’s missing sketchbook. Author: Enigma Alberti is the nom de plume of a secret cadre of authors who are each writing a book in the Spy on History series. Illustrator: Scott Wegener is a self-taught artist who has been drawing since childhood. He is perhaps best known for being the co-creator and artist of Atomic Robo. He has also done work for Dark Horse Comics, Image Comics, and Marvel Comics. 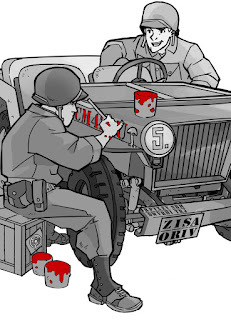 🔎Blog tour spy question🔍: If you were a member of the Ghost Army, which of your creative skills would you utilize to deceive the German troops? Ainsley, 13-years-old: "I'd use my drawing skills to come up with top secret battle plans." Sierra, 11-years-old: "I'm pretty flexible, so I would use those skills to hide in small spaces and spy." "*What's your favorite spy movie/tv show/book? 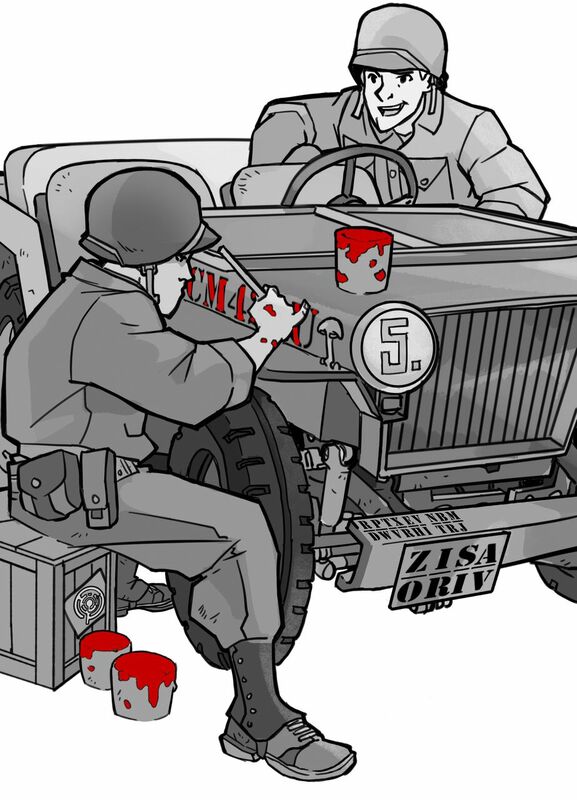 *Or what special skill would you have used if you were in the ghost army?" I like the movie "An Englishman Abroad." And if I were in the ghost army--oh, for everyone's sakes, let's just keep me out of the ghost army! My favorite spy TV series is Chuck. It was fun to watch, full of moments to laugh as well as swoon. Harriet the Spy is the kid's favorite. Mine are the James Bond films and the Jason Bourne films. If I were in the Ghost Army I would have used my special skill of decoding secret messages and codes. I like unraveling mysteries with clues.